Well the summer finally arrived, I was starting to think we were going to get away with a not-very-hot summer but clearly I was wrong! Free pool access until 31 August 2013, any day. The hotel offers a special rate for MRFC members for a Grand Room of OR 50.000 (Omani Rial Fifty) plus service charge and tax (RO. 58.700) room only for single or double occupancy. Only available on Wednesday, Thursday and Friday. As you can see, a very good deal! The reason why the MRFC are doing this is, rugby in the GCC is expensive. An away game consists of return travel for 22 players plus coaches, accommodation costs and travel costs in the other country. Add to that the cost of keeping a pitch green in this climate, and a whole other host of costs, it all adds up to a very large amount of money. 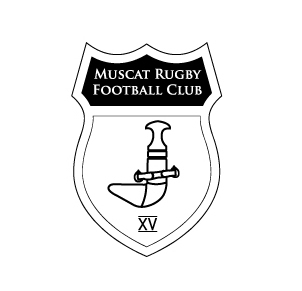 So not only will you be getting yourself (or your family) a sweet deal with the Grand Hyatt, Muscat, you will also be helping support one of the oldest rugby club's in the GCC. If you are interested, then drop me an email to mrsythe[at]gmail[dot]com and I'll send you the forms and instructions on how to apply. Put it this way- one visit the pool with your family of 2 adults and 2 kids pays for the membership. Pricing for the September 1 2013 - August 31 2014 season is being finalized. Probably RO 40 single RO 80 family, capped to 3 children and under 18 years old.